Relate: For all of June and a good portion of July I was on a mandatory vacation back in New York as I got my visa updated. I spent a bit of time in Istanbul and have now been back in Antep for a few weeks now. There is no question that this is my home and it is good to be back. One question I do tend to get both here and when I was back with my New York friends is some form of: “Which do you like better, New York City or Turkey?” In both cases my answer is the same. That is a bad question. There are different things I love about both places and there are also some other things that, eh… not so much. YOLO… lets go sleep with that random stranger. YOLO… lets get so wasted we will have no idea tomorrow what or who we did tonight. YOLO… lets toke it, snort it, inject it. However we can, lets get that poison in us. YOLO… lets do that recklessly stupid thing because everyone is watching. YOLO… lets waste our lives living for ourselves. React: Did anyone take a mental step back on that last one? When I was a youth pastor I once asked my kids to write down five things that were their greatest memories or things that they were very proud of. When they were done I had collected over seventy memories. Almost all of them, (all except two, I think) were memories of things that happened in community. Well more than half of those memories were of moments when they were doing something for someone else. They were things like: sticking up for that bullied kid, helping build a habitat for humanity home, and one boy even rescued his drowning sister. I know for me the same ratio applies that I found in those students answers. Well more than 90% of my best moments happened in community and far more than half are times I was serving someone else. If I had you write out a similar list of your own best memories and moments, would you see a similar trend? Today’s verse says, “Whatever you do, do it all for the glory of God.” How do we do that? Well, look at the context of Paul’s writing it. A few verses earlier he wrote, “No one should seek their own good but the good of others.” Just two sentences after today’s verse, he personalizes the exact same statement. “For I am not seeking my own good but the good of many.” I have heard since I was a kid that you spell JOY “Jesus first, Others second, then Yourself”. Since I was a kid there was a part of me that has rebelled against the concept of putting others first. That is because since I was a kid there has been a part of me that is incredibly stupid. God isn’t a killjoy. He wants you to have the best life possible and He also knows that this happens through servanthood. Let me redefine joy: “Whey you glorify Jesus by serving Others, You reap the benefit.” Life is short, so let’s go make those types of memories we will cherish till the end of our days. Please help me to bury that stupid selfishness that keeps getting in the way of a good life. Help me to escape that me first mentality that keeps my life so boring. Help me to always remember that the best investment I can make with my one short life is to spend it on others. Whether eating or drinking or whatever else I am doing with my life, help me to glorify You by serving the ones You love. I am so inspire. Thank you for sharing this wonderful thought with us. You are bless! I really dislike that stupid saying, “YOLO”, I totally agree with you. This is awfully good point to bring to light. 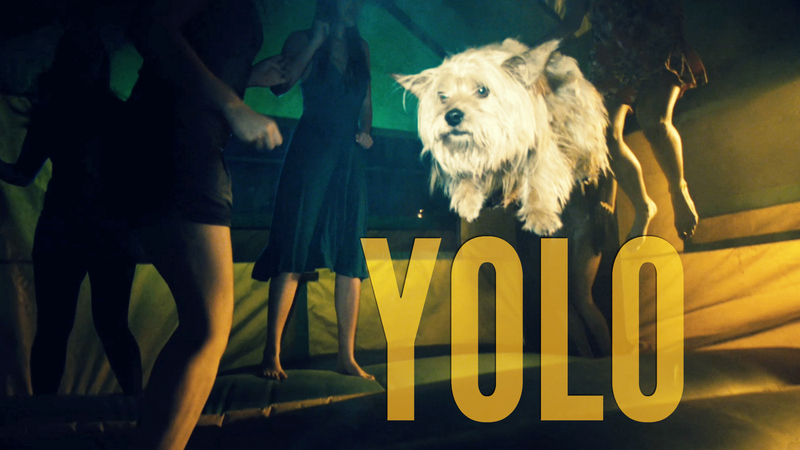 I keep hearing YOLO and INGAY (I’m not getting any younger) in Hollywood movies. However, I see it this way: until you qualify for heaven (Nirvana), your soul will keeping coming into this world for another chance. There are no do overs. We only get one shot at this thing called life, so make it count. Amen and amen. Help me to serve you through every soul in my path and beyond IJMN Amen. JOY: Jesus, Others & You. Amazing something we learned as kids really works and works every time. Thanks for the reminder to always put Jesus first. God bless. It is also good for us to remember that the way we put Jesus first is not through the assent to a particular set of beliefs or the singing of a few songs. While these things are good, the way we put Jesus first is by putting those He loves above ourselves. True talk! We let friends convince us to do stupid things under the tag YOLO and we forget that we really also die alone. So live like your death will be yours alone and dont get cheated into living like someone else! This reminds me of the good samaritan, how there 3 or 4 people walk by and the last one stops and helps. This reminds me that we need to have more of that mentality in this world. We need to help our neighbors, not walk by them in their time of their need. Every once in awhile we need to ask them what them what they need, every once in a while we need to conversate with them. In other words we need to treat them like they are family. Because after all we are all family. The NLT translation of Proverbs 21:16 is so true. wow love this.. God bless you man of God.. so amazing to hear someone else out there is speaking the truth.. Always hated the word YOLO.. we more children of God to speak the truth. Inspiring post! I simply cannot love this enough!! This entire post needs to be read and shared with the world! !